Set hair-removing creams and waxes aside, and say hello to Kaya Laser Hair Reduction Services; an alternative to painful and messy hair removal procedures, designed by leading dermatologists, and carried out by expert therapists. Hair removal isn’t solely for your legs, arms, and face. There are certain areas of your body overcrowded with hair that needs to go. The only problem is that most procedures are painful or ineffective. A convenient alternative is Kaya Skin Clinic’s Laser Hair Reduction Services. These services utilize the latest laser technology, and are carried out by professional dermatologists and technicians. Here’s a look at the kinds of hair reduction services on offer here. Your pain threshold for threading underarm hair is pretty low, like it is for everyone. This might push you to either shave or wax. The problem with waxing is that it encourages further hair growth. Cuts and bruises are quite common too. Moreover, tiny hair gets trapped in the underarms, resulting in the darkening of skin. Laser hair reduction at Kaya works rather differently. The laser beam penetrates the skin, reaping the hair strands at the follicles. And this happens without any side effects. Kaya Skin Clinic employs US-FDA approved Nd-YAG laser technology that targets coarse hair on arms and legs. It wipes your skin clean of all the hair, and also gets beneath it to destroy the follicles. This procedure is implemented by trained beauty therapists with constant guidance from expert dermatologists who oversee how your treatment is executed. 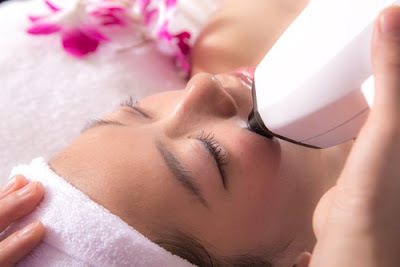 The same laser technology is also used to remove facial hair. You can get a swipe of the beam on your lip, neck, chin, side locks, and earlobes; hair is removed without leaving so much as a single strand behind. Body hair thrives on three regions: back, chest, and abdomen. Men whose chests are saturated with curls and women with hair around their areola can benefit from the laser technology that completely removes all traces of hair. To read customer experiences regarding Kaya’s wide range of skincare and haircare products and services, visit Kaya Clinic Review. Having sensitive skin should be no reason to avoid sunscreen; after all, doesn’t sensitive skin actually call for even more protection?. Kaya Skin Clinic’s Sunscreen For Sensitive Skin saves you from harmful UVA and UVB rays that cause premature skin aging, sun spots, sunburns, and sagging. The sun is the source of human existence. However, it can be harsh on your skin, especially if yours is sensitive. 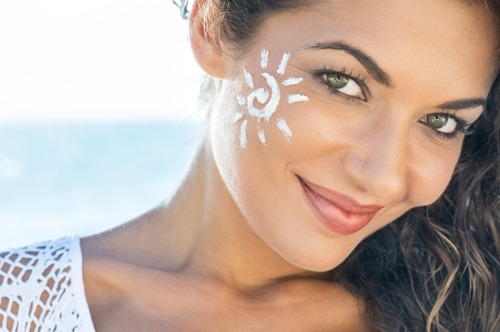 Skin damage is pretty much guaranteed if you aren’t adequately shielded from harmful UVA and UVB rays. Repercussions are pretty grave too. Blisters and burns are accompanied by wrinkles, spots, lines, and sagging. In a nutshell, your skin undergoes premature aging and loses its youthfulness in the process. Luckily, there’s a way to tackle this. And it’s called Kaya Skin Clinic’s Sunscreen For Sensitive Skin. Shield your skin with this lotion to escape premature skin ageing and other effects of sun exposure. This product comes encased in a silvery, transparent container with a pump at its apex. This is crowned by a transparent cap. When pressed, the pump discharges an odourless, white lotion with a thick consistency. It has a smooth texture that easily spreads on the skin and is absorbed with ease. This dermatologically-tested sunscreen is oil-free and offers maximum protection against UVA and UVB rays. It’s hypoallergenic and tested to be non-comedogenic as well, which makes it safe for use on sensitive skin. Aging and discoloration due to the sun’s rays are prevented, and your skin is adequately moisturized to help retain its radiance and suppleness. Rinse your face thoroughly before you apply this sunscreen lotion. Once you’re done, dab your skin dry with a soft towel. Squeeze out a small amount and spread it over the fingertips, gently applying it in on your skin in small circular motions. Apply at least 20 minutes before you step out in the sun, and repeat if you’re staying out for a long time.